It turns out to be a world Gifford inhabits, as much as it is his creation. 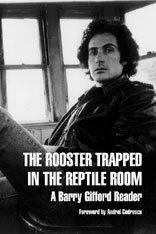 The Rooster Trapped in the Reptile Room includes first-person essays which mirror the circumstances of his novels. There was the time he took his young son to visit his friend William Burroughs. Or the trip he took along the chain of Mexico-U.S. bordertowns, exploring life on the seam. In selections from The Phantom Father, a memoir, Gifford describes his nomadic boyhood as the son of a racketeer father and fashion-model mother. A new short story, “The Peterson Fire,” is a tale from the life of a boy a lot like the one of the writer’s memory. 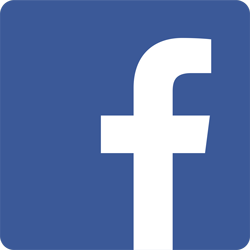 Gifford began as a poet, publishing for over a decade before writing his first novel in 1979; The Rooster Trapped in the Reptile Room groups seven new poems with selection from past work. It wasn’t until the 1990s that Gifford started writing screenplays, a pursuit represented here with a section from Lost Highway. In “Fuzzy Sandwiches or There Is No Speed Limit on the Lost Highway: Reflections on David Lynch,” Gifford tells the story of their several collaborations in film. The Rooster Trapped in the Reptile Room provides essential reading for anyone after the soul of American writing. Barry Gifford’s novels have been translated into twenty-two languages. His book Night People was awarded the Premio Brancati in Italy, and he has been the recipient of awards from PEN, the National Endowment for the Arts, the American Library Association, and the Writers Guild of America. David Lynch’s film Wild at Heart, which was based on Gifford’s novel, won the Palme d’Or at the Cannes Film Festival in 1990; and his novel Perdita Durango was made into a feature film by Spanish director Alex de la Iglesia in 1997. Gifford co-wrote with Lynch the film Lost Highway (1997); he also co-wrote with director Matt Dillon the film City of Ghosts (2003). Gifford’s recent books include The Phantom Father, named a New York Times notable Book of the Year; Wyoming, named a Los Angeles Times Novel of the Year, which has been adapted for the stage and film; and American Falls: The Collected Short Stories. Mr. Gifford’s writings have appeared in Punch, Esquire, Rolling Stone, Sport, The New York Times, El Pais, Reforma, La Repubblica, Projections and many other publications. He lives in the San Francisco Bay area. Poet, novelist, essayist, and screenwriter Andrei Codrescu is also a weekly commentator for NPR’s All Things Considered. He is the editor of Exquisite Corpse, a literary journal online at www.corpse.org. Codrescu is MacCurdy Distinguished Professor of English at Louisiana State University in Baton Rouge. Thomas A. McCarthy, originally of Omaha, is an editor at Seven Stories Press. He lives in New York City.